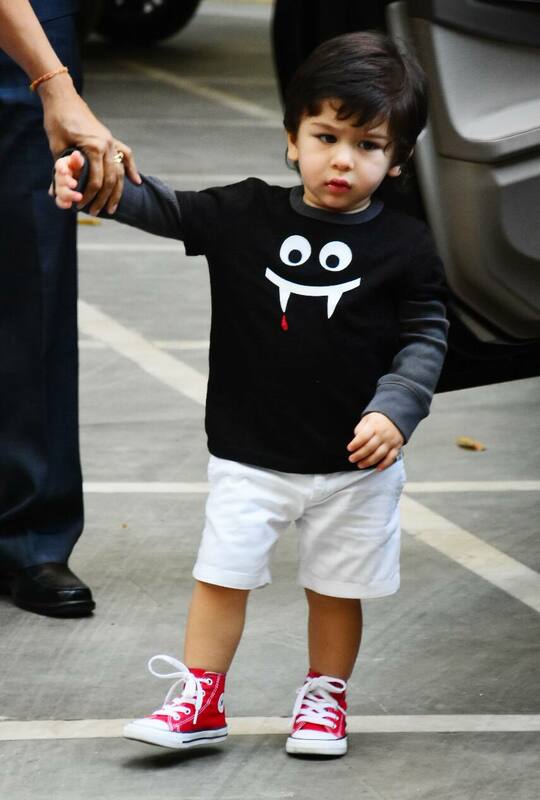 Photo Gallery: Taimur Ali Khan is back and how! Putting all speculations to rest, a sleepy Taimur Ali Khan made a starry appearance and made our day. 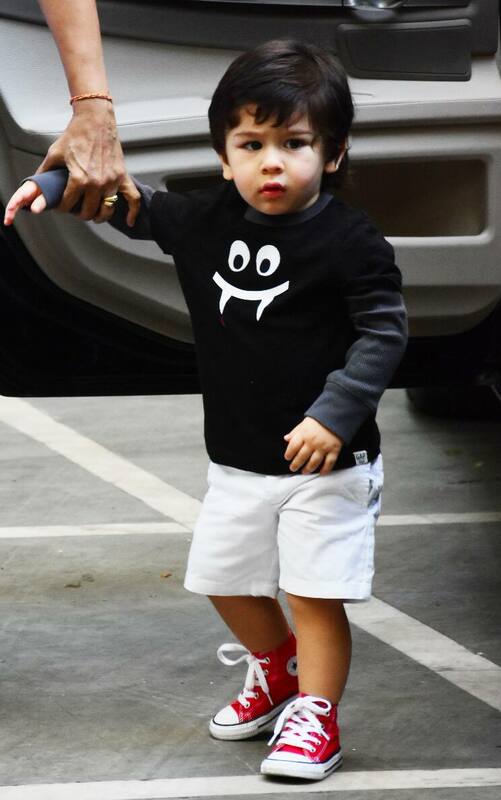 Earlier, there were reports that Saif Ali Khan and Kareena Kapoor have asked the shutterbugs to not click Taimur's pictures. However, Saif later refuted all claims and said that even if they ask paps to not click they will not listen. Baby Tim was spotted in a Halloween attire as he painstakingly exited his car but didn't forget to greet his fav photographers.